The Business Systems Design online suite of four courses (Requirements Engineering, Business Analysis Practice, Business Change and Modelling Business Processes) is brought to you by Filtered and business training thoroughbred QA. Businesses are constantly looking for ways to evolve, whether due to the implementation of a new business process, a change of strategic direction or the launch of a new product or service. Requirements are specifications of what should be implemented to support this change and the needs of the business. They focus on defining the characteristics of a product or service that will solve a business problem and are fundamental for the realisation of successful change projects. This course, designed in partnership with QA, develops the skills needed to analyse the requirements of your business and work with key stakeholders to prioritise, organise and implement the products or systems needed to manage transitions effectively. 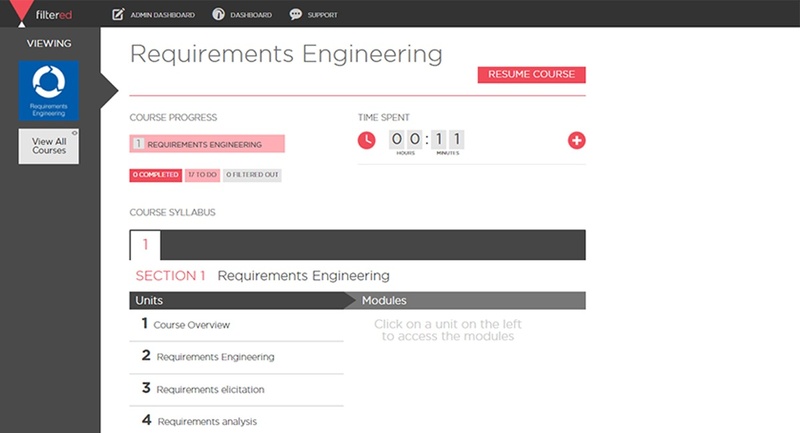 The course: Comprised of video modules in a fully responsive layout so you can learn on any device. The tutor: Led by experienced Business Analyst and Project Manager Marie Bradley. 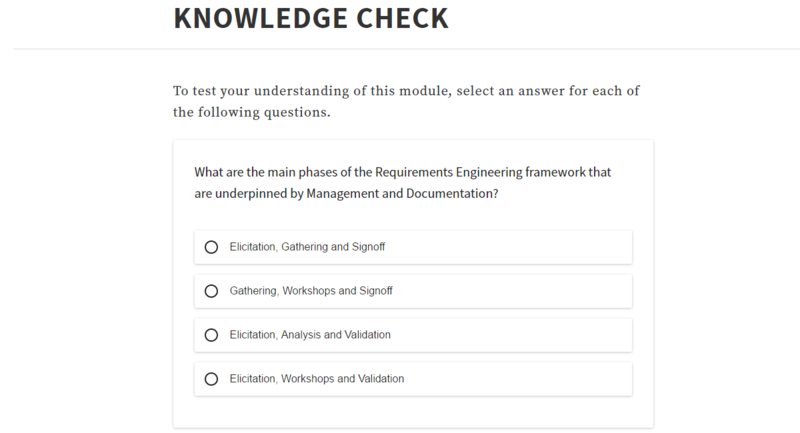 Module Structure: Knowledge checks at the end of each module reaffirm the knowledge you've learnt. Delegates wishing to acquire the skill set required for analysing and addressing business problems and wishing to attain the BCS Foundation Certificate in Requirements Engineering would benefit from attending this course. Ideal for those looking to identify opportunities to improve business processes and systems, and implement a new solutions based on these requirements. 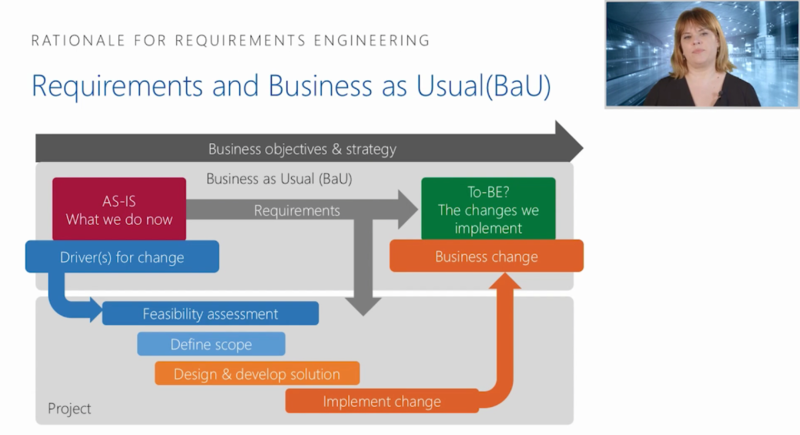 Also useful for business managers and staff wanting to gain an understanding of Requirements Engineering and contribute to their organisation's wellbeing. This course is one of the mandatory units required to gain the BCS International Diploma in Business Analysis. Explain the importance of linking requirements to the business case. Describe the roles and responsibilities of key stakeholders. Explain the use of requirements elicitation techniques and their relevance to business situations. Analyse, prioritise and organise elicited requirements. Create a model of system feature requirements. Interpret a model of data requirements for an information system. 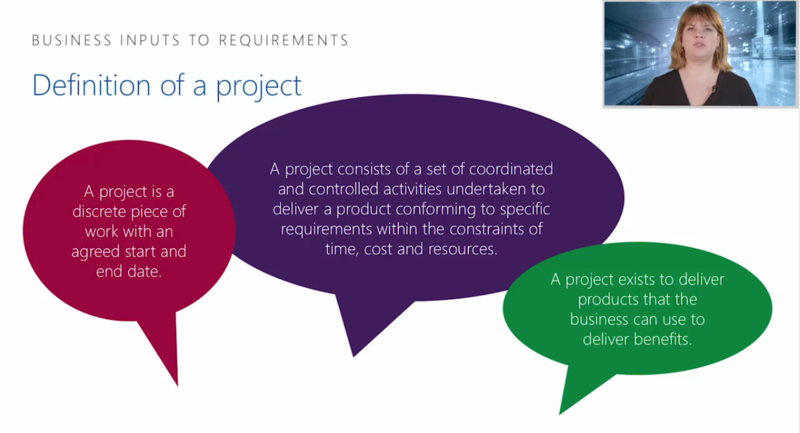 Describe the principles of requirements management and their importance. Describe the tools used to support requirements engineering. Explain the process and stakeholders involved in requirement validation. Marie joined QA in July 2012 to deliver courses across the Business Analysis Portfolio, and is now responsible for managing the entire BSD course portfolio. She has twenty years' experience working in most of the roles associated with the traditional software development lifecycle: Developer, Systems Analyst, Tester, Business Analyst and Project Manager. Prior to joining QA, Marie worked in logistics and parcel delivery, before moving to marketing agencies. She set up and managed business analysis and testing teams to define, design and consult on client's business change projects, focusing on their websites and 'data mart' needs. She has also mentored and advised those wishing to explore business analysis as a career option. We want to be sure that our members are getting the most out of the service we provide for them. The back end reporting functionality of Filtered provides us with the tools to check that our members are benefiting from the e-learning resources available. Love the guys at Filtered. Such a breath of fresh air to work with smart people!